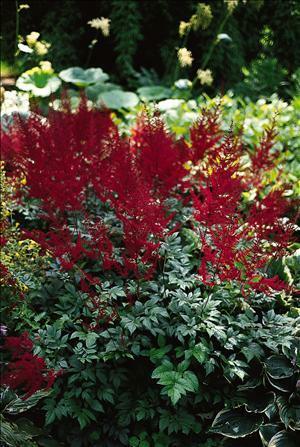 Deep red flower plumes with rosy highlights truly do glow above green foliage. Blooms mid-summer. The classic deep red.